Howdy doody folks and with just five days to go until Tour time it is the least we can say all but frenetic with planning and final preparation. Needless to say in true Tour spirit, the long range forecast is not looking tropical – watch this space and make sure you get out and cheer the riders on if they are coming past at any time during the week. First things first is that it’s imminently Tour of Southland time again and we again plea for anyone with flashing lights, radios and other STMS gear to please return it ASAP to us. 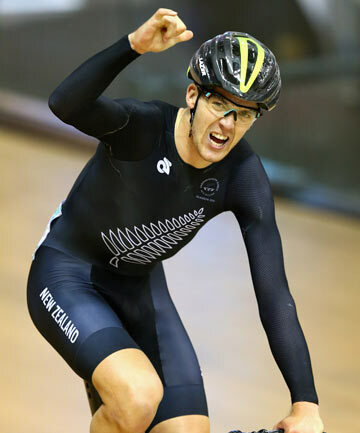 Double Olympian Westley Gough makes his return to international competition after selection for the BikeNZ track team for the opening UCI World Cup in Mexico next month and five Southlanders feature in the 16-strong team. 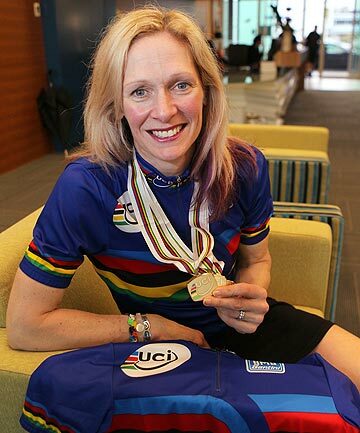 For the past year Erin Criglington's world championship cycling jersey has been hanging from a coathanger in the family dining room. 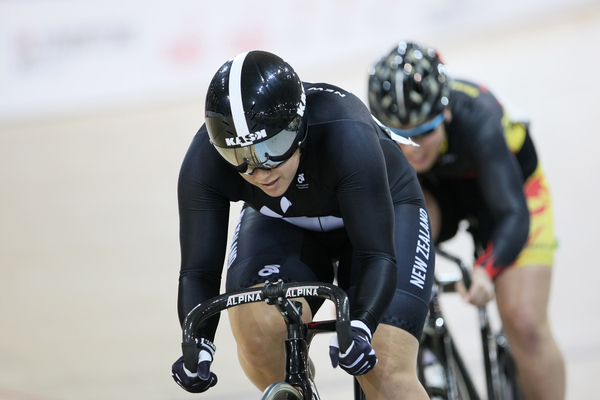 The selectors are happy to name the following riders as pre-selections to ride for Southland at the 2015 Age Group Track Nationals. 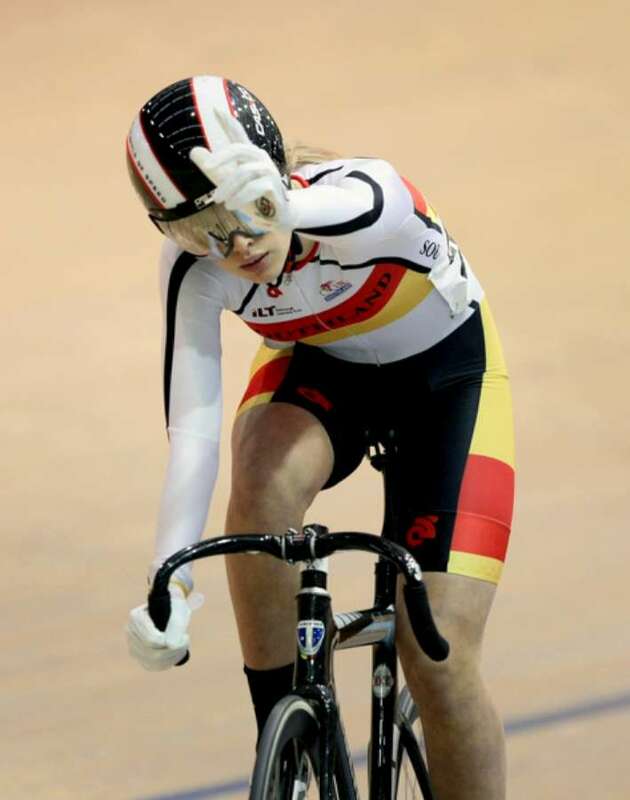 On Your Bike - wow some results and action lately! 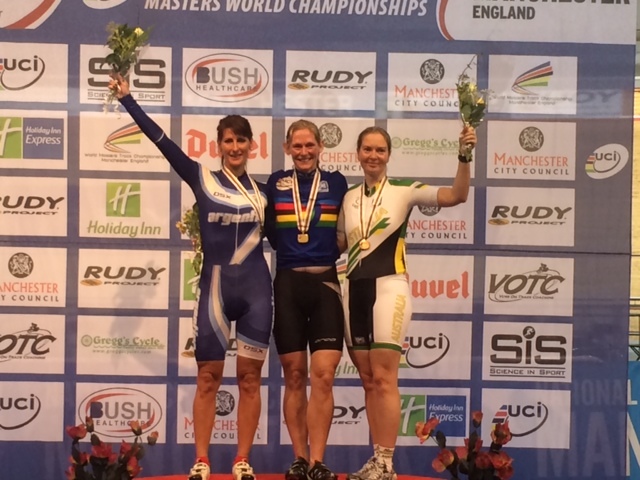 Well it pretty much hasn’t stopped with events – both here and away – and some truly outstanding results of late. 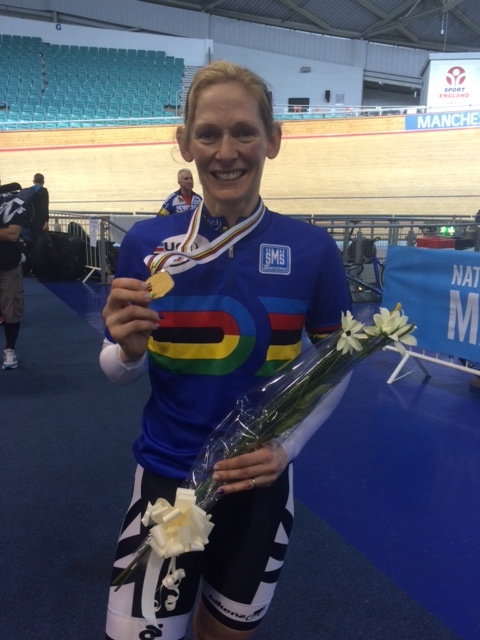 Leading out of the blocks is our World Champion Master rainbow jersey holder Erin Criglington who not only defended her IP world title, but gathered up the points race rainbow jersey well. Truly outstanding!! 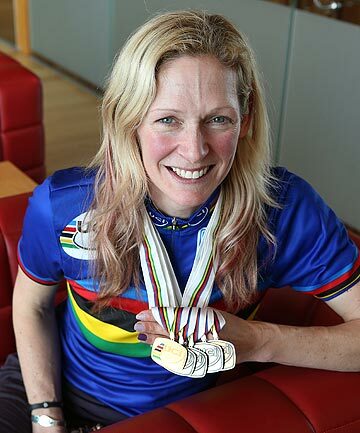 World defending individual pursuit rainbow jersey holder Erin Criglington has doubled her catch at the UCI Worlds Masters Champs in Manchester over the weekend bagging the rainbow jersey for the points race. 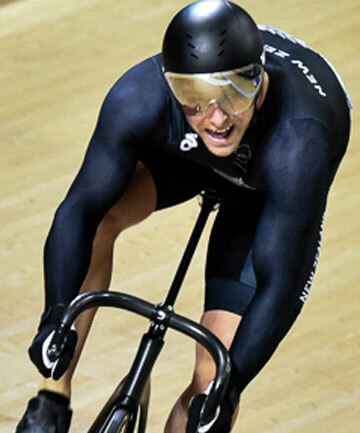 New Zealand elite track cyclists - including many of our Southland representatives - enjoyed four victories on the opening night of finals in the Oceania Championships in Adelaide. 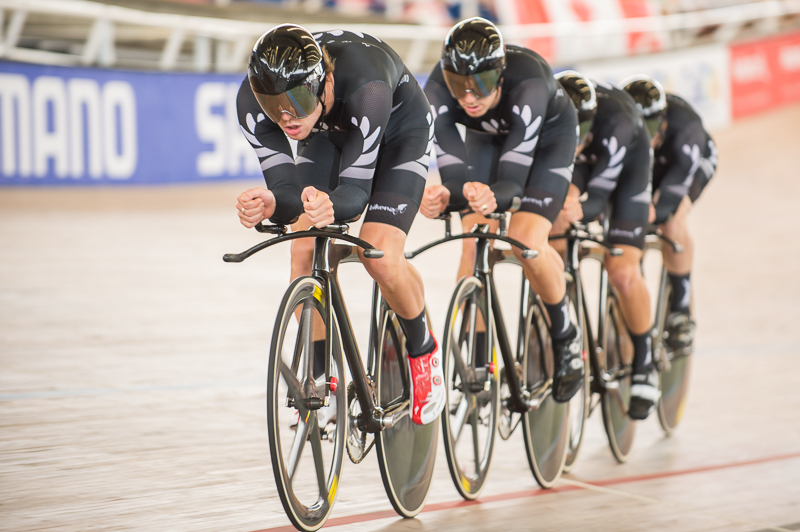 New Zealand’s leading track cyclists won’t need much rocking to sleep at this week’s Oceania Championships in Adelaide. 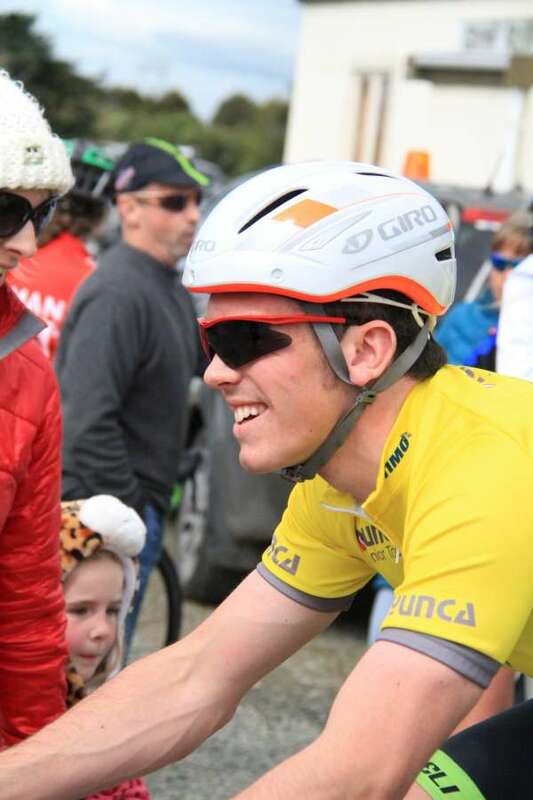 Junior world track cycling medallist Nick Kergozou has made a clean sweep of a weather-affected Junior Tour of Southland. 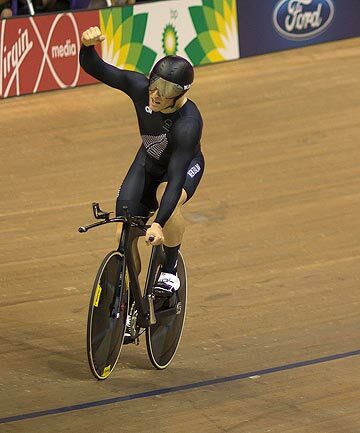 Invercargill accountant Erin Criglington will try to defend her individual pursuit title at the world masters track cycling championships next week. Eddie Dawkins hopes to add a pair of world records to his collection of medals before contesting the Rio Olympics. 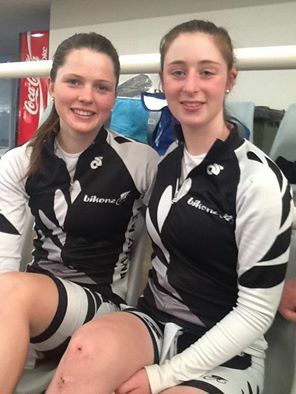 Three Southlanders - Hamish Keast, Corbin Strong and Nicole Shields - have just been named in the BikeNZ U17 first year Academy and second year road cycling development programme.